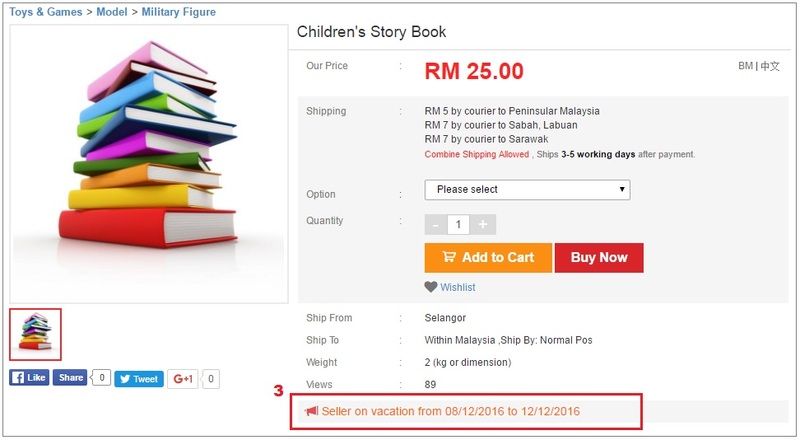 /Announcement /Lelong Seller Guide /Vacation Mode – What You Should Do? When the seller goes on holiday or vacation would not be able to attend to their web store, it is always best to let your buyers know about it in advance. The buyers can expect late deliveries, and the seller would not be contactable during that specific time. 1. Put up an announcement in their web store. This is so your buyers and potential buyers aware that you will be away. 2. 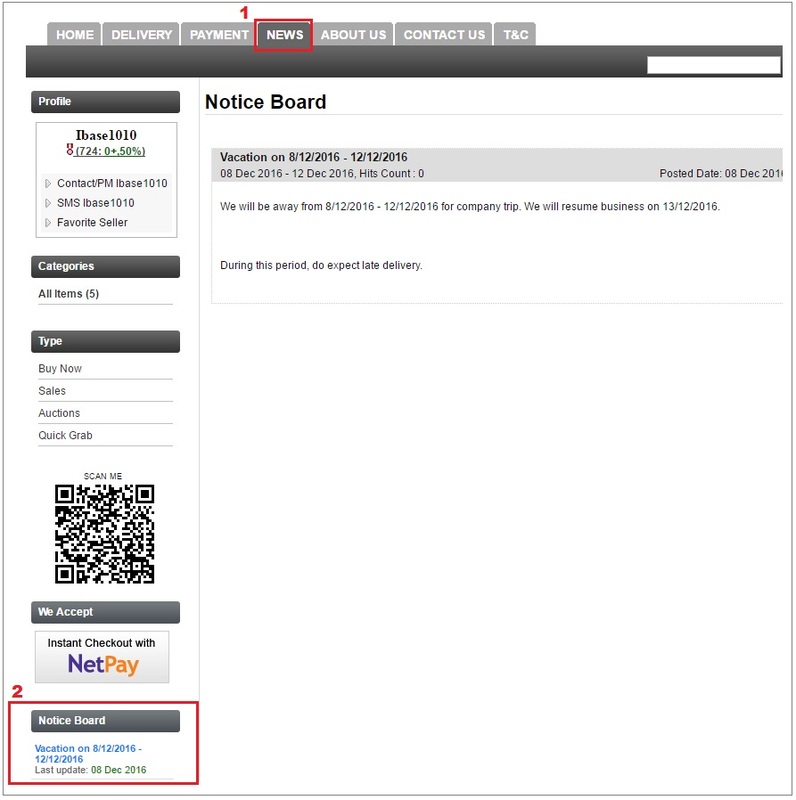 Hide all of the live postings in your web store under Edit Listing (B. My Selling > 7. Edit Listing). This ensures that all your postings is not available and will be hidden in your web store, and no one can proceed to buy. How to Hide Item? Click here! 3. Setup Auto-reply for your web store emails. This way, the buyer will be notified they try to contact you via email. 4. Sellers can also update the web store banner to clearly display the announcement that they will be away. 5. Make sure you also do notify Lelong.my that you would be away on these period. 6. Let your buyers know when you will be back and your web store will resume business. You should include when the orders will be process and shipped out to the buyers. 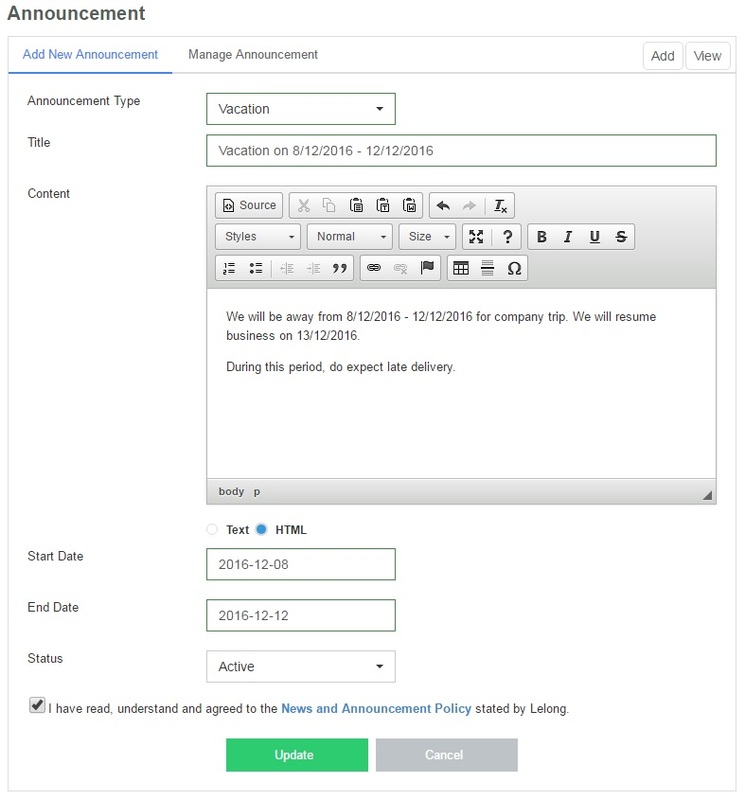 HOW TO SETUP VACATION MODE ANNOUNCEMENT? 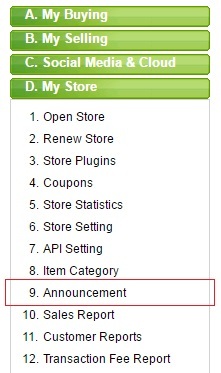 Please be informed that this action will takes some time to appear in your product page.